Day 02 :Welcome to Beijing, the Capital City of China! Enjoy Golden Mask Dynasty Show. Welcome to Beijing, the Capital city of China. On arrival, you will be greeted by the Tour Manager/local representative outside the baggage hall area at the airport. Proceed to the hotel and check in (standard check in time 14.00 hrs). 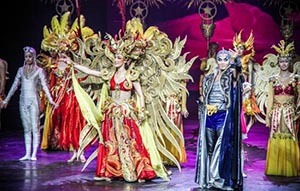 In the evening enjoy the famous Golden Mask Dynasty show – an awe inspiring show with grand sets, colorful costumes and spectacular performances. Tonight enjoy delicious Indian dinner at a local Indian restaurant. 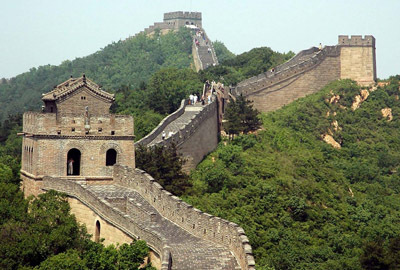 Day 03 :Enjoy an exciting and unforgettable tour to the world famous Great Wall of China and Forbidden City. In the morning after breakfast, visit the Forbidden City which was the Chinese imperial palace, since the start of Ming Dynasty until the end of the Qing Dynasty. For almost 500 years, it served as the home to the emperors and their households, as well as the ceremonial and political center of Chinese government. Visit the Jade Factory (compulsory stop). Experience local Chinese lunch. Later proceed on a guided tour of the renowned Great Wall of China, stretching to a length of around 5500 miles across China; we visit the Juyongguan pass section of the wall. Next proceed for photo stop at the Olympics Venue of 2008 with its Aqua Theatre, the “Bird’s Nest” stadium and the dragon shaped Olympic Office. Enjoy free time for shopping at Xiushui Market. Later proceed for dinner at local Indian restaurant and drive to hotel. Day 04 :Visit Tiananmen Square. Train to Xian – the ancient city of Chang’an! See the famous Wild Goose Pagoda. Today morning after breakfast check out, visit Tiananmen Square, one of the largest squares in the world, named after the Tiananmen Gate (Gate of Heavenly Peace) located to its North, separating it from the Forbidden City. It has great cultural significance as it was the site of several important events in Chinese history. Visit Pearl Factory (Compulsory Government Stop). Later proceed to Beijing Railway station and board a high speed train to Xian. Today packed lunch will be provided. On arriving at Xian proceed for photo stop at Wild Goose Pagoda, where you will also see the colorful and musical fountain show which will leave you in awe. Tonight enjoy a delicious Indian dinner at a local Indian restaurant. Post dinner, check in at your hotel. Day 05 :Visit the world famous Terra-Cotta warriors. Fly to Shanghai – the river city! 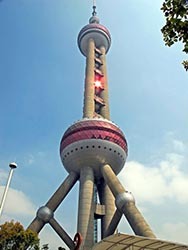 Visit the observatory deck of Oriental Pearl TV Tower to get the panoramic view of the city. After an American Breakfast proceed to visit Crockery Factory (Compulsory Government Stop) and the famous Terra Cotta warrior. Enjoy packed subway lunch and later proceed towards the domes (one way battery car for your convenience will be provided) where you can see life-size Terra Cotta warriors and horses arranged in battle formation. Also enjoy a 360 degree film presentation about the terracotta army; its history and formation. Later proceed to Xian Airport to board flight to Shanghai. On arrival at Shanghai, get ready to see splendid views of the city from the observatory deck at 263 meters of the Oriental Pearl TV Tower, along with the Glass bottom Floor at 259 meters. Dinner at Indian restaurant and Check in to your Hotel. Day 06 :Visit the Shanghai Zoo to see the Pandas. Get on board the Huangpu River Cruise. 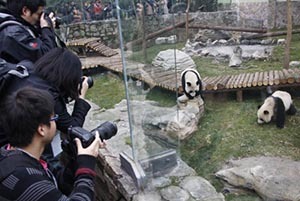 After breakfast at your hotel proceed to Shanghai Zoo to see the Giant Panda and the Red Panda. Sitting in the outdoor exhibition area you can see every move of the Panda. Visit the Silk Factory (Compulsory Stop). Enjoy lunch at an Indian restaurant. Enjoy photo stop at the famous Nanjing Road and Bund. Proceed to board the Huangpu River Cruise and experience the beautifully illuminated skyline of Shanghai. This evening you have the chance to enjoy the famous Acrobatic show where top artists display their prowess at trick cycling, spinning, juggling and Chinese dancing. Dinner at Indian restaurant. After an American breakfast at your hotel, check out and proceed to the airport for your flight to Hong Kong. On Arrival, proceed to Macau by ferry. Start an exciting city tour of Macau by visit to A-Ma temple, Ruins of St. Paul’s church and drive past Penha Hill. Also you will drive pass the Macau Tower, one of the highest free standing towers in the world. In the evening, you can also try your luck at the numerous Casinos (on your own). (Dress code for Casino: Men - Trouser, Collared Shirt or Collared T-shirt, Shoes. Women - Western Formal, Shoes/ Sandals. Person Under 21 years old is not permitted to enter the casino.) Tonight enjoy a hot sumptuous dinner at local Indian restaurant. Day 08 :Proceed to Hong Kong. Enjoy the city tour of Hong Kong Famous Victoria Peak. After an American breakfast at your hotel, check out and proceed to the Hong Kong. On arrival, Lunch at Indian Restaurant. Then proceed for a Half Day City Tour of Hong Kong, get ready to catch a glimpse of the life–style of Hong Kong’s remaining fisher folk as you visit the Aberdeen Harbor. Also visit the most famous beach in Hong Kong - Repulse Bay Beach. Later visit the top attraction spot of Hong Kong - Victoria Peak. Victoria Peak which is 1811 feet above the sea level gives a breathtaking panoramic view of the city. Later visit Jewellery Factory. Enjoy a delicious dinner at local Indian restaurant. 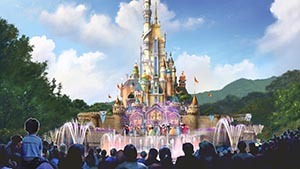 Today after an American breakfast, the day is free to enjoy shopping at various malls in Hong Kong (on your own) OR you have a chance to enjoy Hong Kong Disneyland. Get ready for some fun, adventure and entertainment. Enjoy the ‘Lion King’ show, see the delightful Mickeys Philamagic, see the outer-galaxy at the ‘Space Mountain’. Post lunch; prepare to be dazzled by the spectacular Disney Parade where all your loved Disney characters come to life. Begin new adventures in the western gold rush township known as Grizzly Gulch, exclusive to Hong Kong Disneyland! Explore the goldmines and the entire land of Grizzly Gulch on a high-speed, multidirectional terrain-style coaster Big Grizzly Mountain “Runaway Mine Cars”, and turn to the town’s active geyser bed Geyser Gulch for some great water play escapades. Come unearth your adventure in the great Wild West! If you still haven’t had your fill of fun, head for playtime in Toy Story Land. Andy’s speediest toy car RC Racer will take you on a 27 meter-high U-shaped rollercoaster ride that will get your adrenaline pumping. Then your mission includes falling from 25 meters high in the Toy Story Parachute Drop and chasing your tail in the Slinky Dog Spin. End the day with the dazzling firework show (subject to weather conditions). Proceed for dinner at an Indian Restaurant. Day 10 :Enjoy a city Tour of Hong Kong visiting Aberdeen Harbor, Repulse Bay Beach and then spend a fun-filled day at Ocean Park. Today morning after an American breakfast, proceed to Ocean Park. The first Asian winner of the biannual Applause Award, the most prestigious award in the amusement and theme park industry. The park is divided into 2 areas and has more than 70 attractions: The Waterfront and The Summit areas are connected by the Cable Car and Ocean Express funicular train. Meet more than 100 sharks and rays in one of the largest shark exhibits in Asia, Shark Mystique. Pay a visit to Polar Adventure, home of penguins and other polar animals. Then scream like crazy on Thrill Mountain’s wild rides! Amazing Asian Animals is home to many precious animals, including giant pandas, red pandas and golden monkeys. Take an awe-inspiring tour through a world of fish at the Aqua City, and discover the fun tastes of yesteryears in Old Hong Kong! For lunch inside Ocean Park, Lunch Coupon will be provided by our Tour Manager. After a day of fun enjoy a delicious dinner at local Indian restaurant. Day 11 :Fly back home. Enjoy the services of a Tour Manager. Visit the Aberdeen Harbor, Repulse Bay Beach. See amazing views of the city from Victoria Peak. 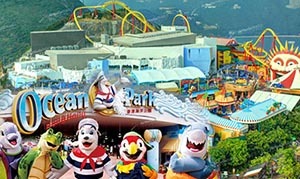 Ocean Park - A day of fun with wide array of attractions and rides. 02 night accommodation at Hotel Jiangxi Grand or similar in Beijing. 01 night accommodation at Hotel Skytel or similar in Xian. 02 night accommodation at Days Fortune Hotel or similar in Shanghai. 01 night accommodation at Regency Hotel or similar in Macau. Accommodations at the hotels specified above or similar. Airfare (International and internal), Ticket taxes, all Visas and Insurance charges. Tips of USD 05 per person per day are compulsory in China, Hong Kong and Macau for services of the guide and the driver and other service providers. The same needs to be given to the Tour Manager on the first day. It will be applicable per Adult and Child. The tour cost does not include POE charges, porterage and passport charges. If you wish to travel on a date other than the group’s departure date for your tour and/or wish to return on a date other than the day your tour ends and/or wish to fly in/out of a city other then the start/end city of your tour, there will be an additional charge that will be applicable (subject to availability of seats for the given dates and ticket validity), which will be advised to you by your Sales staff/Travel agent. Kindly note, the deviation will be actioned only 30 days prior to the tour departure date. Any expenses of personal nature such as laundry, wines, mineral water, food and drink not in the regular menus provided by us. Tips to hotel waiters, drivers, etc. Cost of city sightseeing, entrance fees and local guides availed of by the passenger other than those included in the ‘What your Tour Price Includes’ box are to be paid for extra. As per Guides Union Regulation in China, it is compulsory to enter the Union certified shops. The shops are compulsory for entry only; the clients need not buy anything. That is the Silk Factory, Pearl Factory, Crockery Factory and Jade Factory. Tips of USD 05 per person per day are compulsory in Hong Kong, Macau and China for services of the guide and the driver and other service providers. The same needs to be given to the Tour Manager on the first day. It will be applicable per Adult and Child. The tour will be operated subject to a minimum of 25 full-paying passengers travelling together. In the event that the group size is less than 25 passengers you will be given on option of travelling on FIT basis, by paying an additional supplement on seat in coach basis with local representatives to assist you. The services of a Tour Manager will be provided with a group of minimum 25 full-paying passengers. Our local representative will be there to assist you in case this above requirement is not fulfilled. When the tour has less than 25 adults and is operated on a seat-in-coach basis, there will be instances where the driver acts as a guide as well. Service tax as applicable to be paid extra on tour price. For certain departures, we may re-route the itinerary. However all sightseeing & inclusions will remain the same. On some occasions you may have to join another group in case the group does not have adequate members. Surcharges due to Local Events applicable on certain departures. On the morning of day 08 we will courier the baggage (included for upto one piece) from hotel in Nagoya to hotel in Kansai, this baggage guest will receive on day 10 in Kansai. We suggest the guest to carry 2 nights clothing in small/ hand bag, this because the Bullet train do not have a large area to store big luggage. On the morning of day 13 we will courier the baggage (included for up to one piece) from hotel in Beijing to hotel in Shanghai, this baggage guest will receive on day 14 in Shanghai. We suggest the guest to carry 1 night clothing in small/ hand bag, this because the Bullet train do not have a large area to store big luggage. In Japan as well as China there is no baggage assistance available at all the railway stations, so guests have to carry their baggage in to the Bullet train, without Porter Service and put the bags in leg room area. Please take extra care of your personal belongings while on the tour, every country you travel to is prone to thefts and bag snatching. Thomas cook will not be liable for any loss of belongings/baggage. Meals are pre-set and a-la carte is not possible. American breakfasts will be served throughout the tour. The cabin category on the cruise is an inside stateroom cabin. Due to high occupancy on the cruise, it is possible that the cabins provided would be of alternate category or Inside Stateroom. Any damages caused to the hotel rooms / Coach during your stay, shall be payable by the passengers. Tiwari Tours or its agent will not be liable for the same. The management reserves the right to claim any additional expenses incurred due to delay or changes in schedules of train, flight, bus, ship or other services. Cable car ride is operated subject to weather conditions. Passage for a pregnant woman will only be permitted before her 24th week of pregnancy at the time of sailing of the cruise. For the safety reasons Infants below 6 months of age may not be allowed onboard the cruise. Please refer to the Booking Form for detailed “Terms and Conditions”.